Labor is the second most expensive item (behind outbound shipping) for many operations, and the most expensive item in many others. Labor management is a key component in any effort to reduce costs. It’s also the most controllable item. In many operations, it is where the best opportunity to reduce costs exists. Make sure employees know what’s expected. Do they understand what you believe to be the most critical goals? An old movie once said that success is “making sure the main thing is the main thing.” Are you doing that in your warehouse? 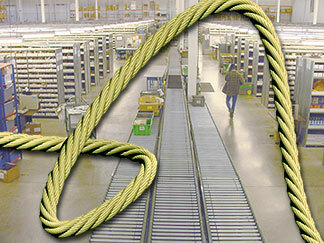 Focus on areas where the most benefit is available – larger operational aspects such as picking and packing. Measure cost and performance related to that objective. Establish expectations and steps to those expectations. Measure the results. Report those results back to your employees. Simple measures, according to Berry, can result in a 15% productivity increase. Make sure your process is solid. Don’t establish expectations on a faulty, unworkable process that your employees won’t be able to meet. Product Slotting is defined as the intelligent location of product in a warehouse or distribution center for the purpose of optimizing material handling efficiency. Sometimes called inventory slotting, or profiling, it identifies the most efficient placement for each item in a distribution center or warehouse. Since each instance is unique, product slotting depends on a variety of factors. Basic information required includes SKU counts, shipping unit cube, sales by SKU per week, average and peak unit sales per week, special handling requirements, weights, order profiles, order profiles, kitting requirements, value-add services, and more. Size slot allocations aren’t typically distinct, since many SKU’s are slightly out of range for a particular type of storage media. These can include pallet racks, flow rack, shelving, special type locations, floor storage, drive-in or drive-through racks, or bin shelving. After you designate locations, a numbering schema must be created for zone, level, bay, facing, and aisle. Then a logical process to complete the system can be executed. Start with the general and move toward the specific. The first step is to determine the general area of the warehouse that would make the most advantageous location for the item. Consider both item and cubic velocity data. While barcodes have been in use for many years in shipping and manifesting systems, many warehouses still don’t fully use this technology. That’s a shame, because barcodes help you reduce costs and increase control of your operation.